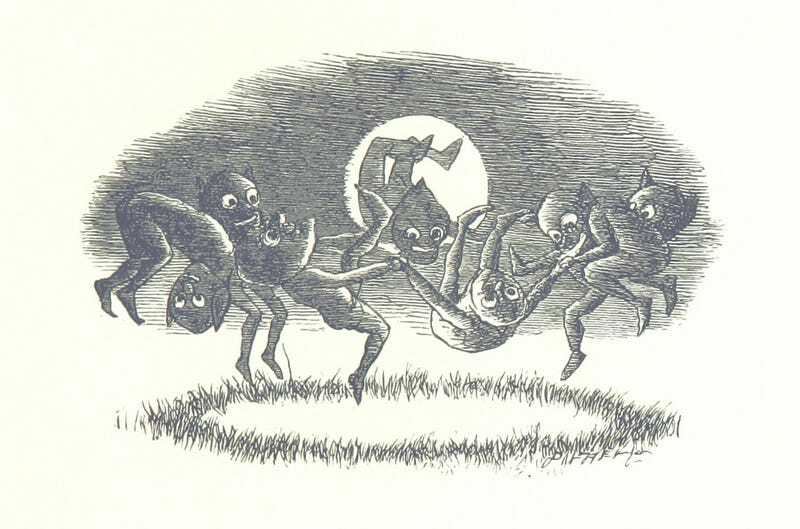 What's Going On In This Picture of Demons Dancing in the Moonlight? Under a full moon, the demons gather in a circle. They dance until a mysteroius power lifts them off the ground, and they float above us all. What do you think is happening in this picture? And what happens to the people who encounter these demons?